It can be difficult to find books that interest 5th grade students and it can be even more difficult to find books with an inspirational message. 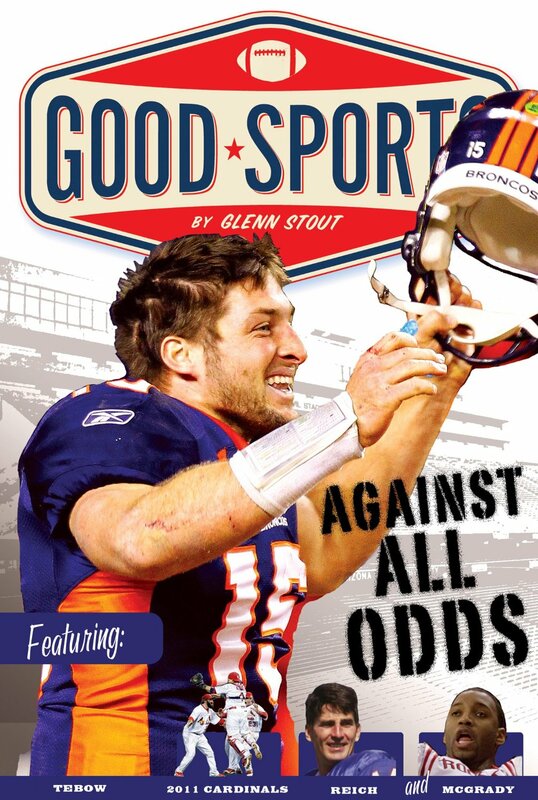 Author Glenn Stout has met both goals with his book in the Good Sport series titled Against All Odds. Fifth grade readers will benefit from the author’s take on being a good athlete even when the going gets rough. He outlines the difficulties that five different athletes including Tim Tebow have had to overcome to be great. It is not only an honest depiction of the challenges it takes to become good at the sport but the author also demonstrates the faith, hard work, and road blocks that each has faced when dealing with the trying to be a winner. The language is clear and appropriate for the fifth grade reader. The book offers an appendix with the stats for each player in the book and a resource section to encourage the fifth grade reader to investigate more about the sport or the athlete which is helpful to teachers who want to instruct on research, writing, or challenge the students to learn more. Against All Odds is current and the athletes in the book are recognized by this age group as great. The book appeals particularly to fifth grade boys which can be a challenging group to keep engaged in reading making this book a wonderful addition to the classroom library.